In part 1, the scene is set and a problem is presented. 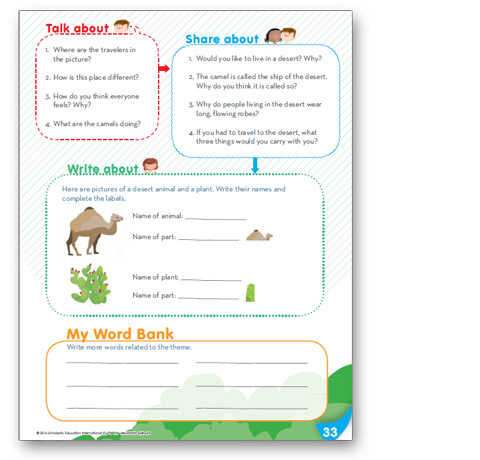 Talk about section provides thinking question to encourage the child to discuss the story. 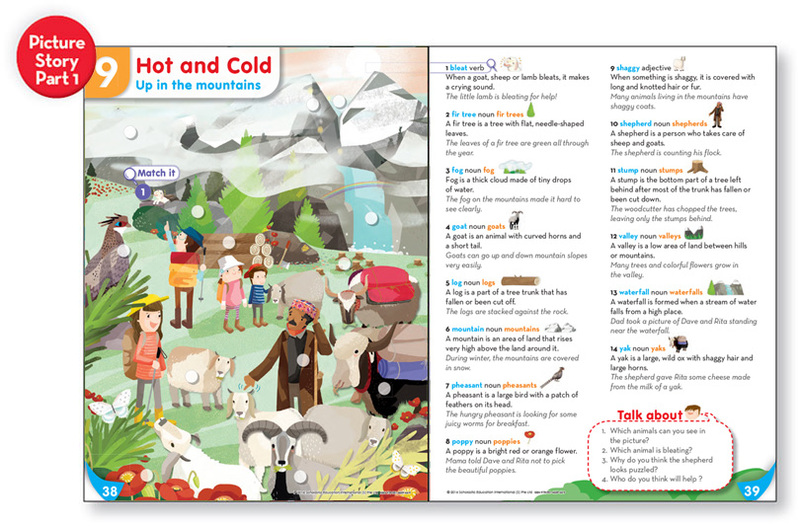 Illustrated key words with simple explanations and example sentences build vocabulary. Find-and-label activity on the picture story makes learning fun. In part 2, the problem is resolved and all is well! Identify-and-write activity reinforces understanding of the words. Talk about leads the child to discuss the development of the story. Share about relates the story to the child's life and develops speaking skills. Write about provides opportunity to use words learned and develops writing skills. 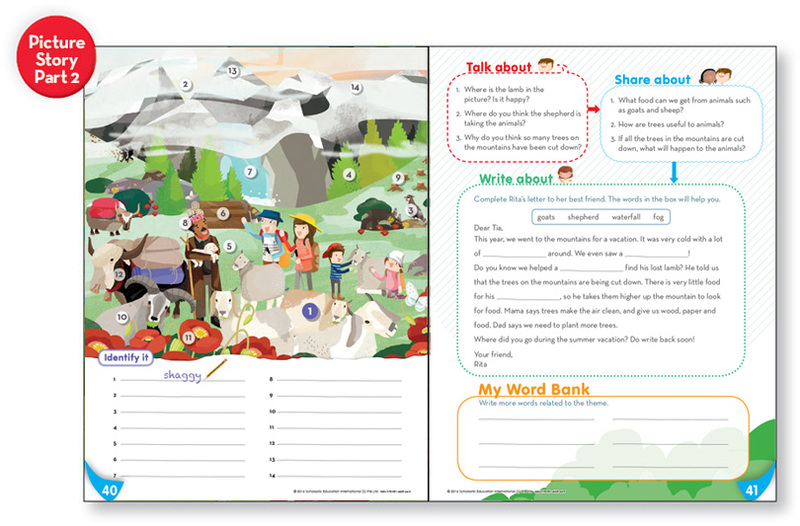 My Word Bank encourages the child to add to vocabulary learned.